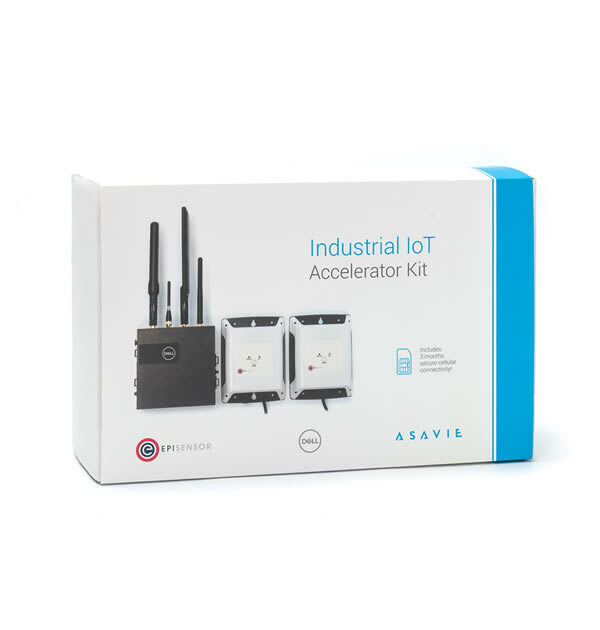 Start building complete Industrial IoT solutions with the Asavie Industrial IoT Accelerator Kit. The kit includes everything you need to stream accurate sensor data to the cloud. Powered by Dell's Edge Gateway 3002 series hardware and EpiSensor industrial wireless sensors, you can scale smoothly from a single site to a country-wide deployment, with industrial-grade security and reliability. The kit includes one Dell Edge Gateway 3002, two EpiSensor wireless temperature sensors and 3 months of Asavie PassBridge private cellular connectivity.